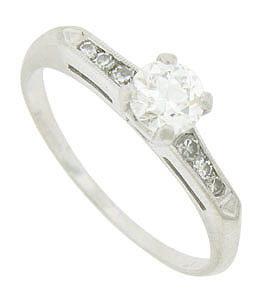 A sparkling F color, Vs1 clarity round faceted diamond is the star of this vintage engagement ring. The platinum wedding ring features a trio of diamonds set on each shoulder flanking the central stone. 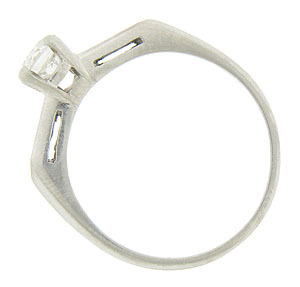 The ring measures 5.02 mm in width. Circa: 1950. Size 8. We can re-size.